One of the most popular activities on social media networks or Internet forums is related to the inexplicable disposition of the users to criticize and refute the arguments of the opponents. It may be even claimed that it is easier to repudiate a point of view of another person than to support and prove one’s own standpoint. 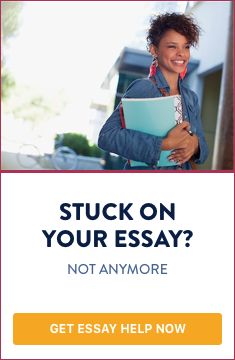 In this sense, many students believe that writing a refutation essay is a piece of cake and that they will receive a high mark without any effort. But, actually, this is far from easy. Here we will present some pieces of advice on how to write a refutation paper. They just put stress on the main points which you should develop carefully. Then search for a paper which argues for one of the possible points of view. It is always better to find a paper which presents strong and clear arguments, as well as a well-developed thesis. The clearer your opponent is, the better will be your thesis. Discern a few of them (usually, the main arguments) in order to criticize them. We recommend you to direct your attention to three arguments besides the main thesis. Write down your notes on the topic and particularly concerning the paper you have to refute. Are the sources reliable? Is there any distortion of information? Are the arguments relevant to the problem? If you find such shortcomings, don’t hesitate to use them. Is there any logical leap? Is there any coherence in the paper? Are the arguments strong enough to support the main thesis? Do they also suggest another explanation of the given process/event/phenomenon? This will be the formal critique of your opponent’s paper. Remember: it is never enough to criticize the opponent’s essay regarding its formal shortcomings. The factual value of the paper should be also subjected to scrutiny. You need to find (if possible) that the opponent’s paper contains (1) factual mistakes, and (2) formal mistakes. If it seems that the arguments are OK (meaning, they are relevant to the topic and are completely reliable), then you should find counter-arguments on your own. Search for information which can refute the opponents’ thesis. Of course, in all cases you have to present your own arguments. Once again, the arguments have to be relevant to the topic, reliable (that means, you must even check your sources) and interconnected with each other. The thesis should be written concisely (in 1-2 sentences), without giving too much information. Use a popular academic style of reference (APA style, MLA style, Chicago style). Never quote without referring to sources! Besides, your quotes should be correct and relevant. Some people misuse quotes by quoting only one small part of the passage which supports their thesis; and the other part, which is essential, is dismissed. You should avoid employing this “method”. argumentum ad hominem - this is an argument which deals with the personality of your opponent and not with their own conception. This also includes the knowledge and skills of the opponent. emotional argument - this argument contains assertions about feelings and emotions; it also applies moral categories (that the person X is “bad”, or that the event Y is “good”). unfocused argument - this is an argument which is focused on completely other argument which has not been presented by your opponent, but has been exposed in another paper or by another person. Such method is employed in cases in which one cannot (or does not know how to) refute the opponent’s arguments. In conclusion, your refutation essay has to deal with someone else’s conception in order not only to repudiate it, but also to prove its counter-thesis. However, you should be polite to your opponent and write in a professional way; this also counts. Your refutation essay has to deal with someone else’s conception in order not only to repudiate it, but also to prove its counter-thesis.